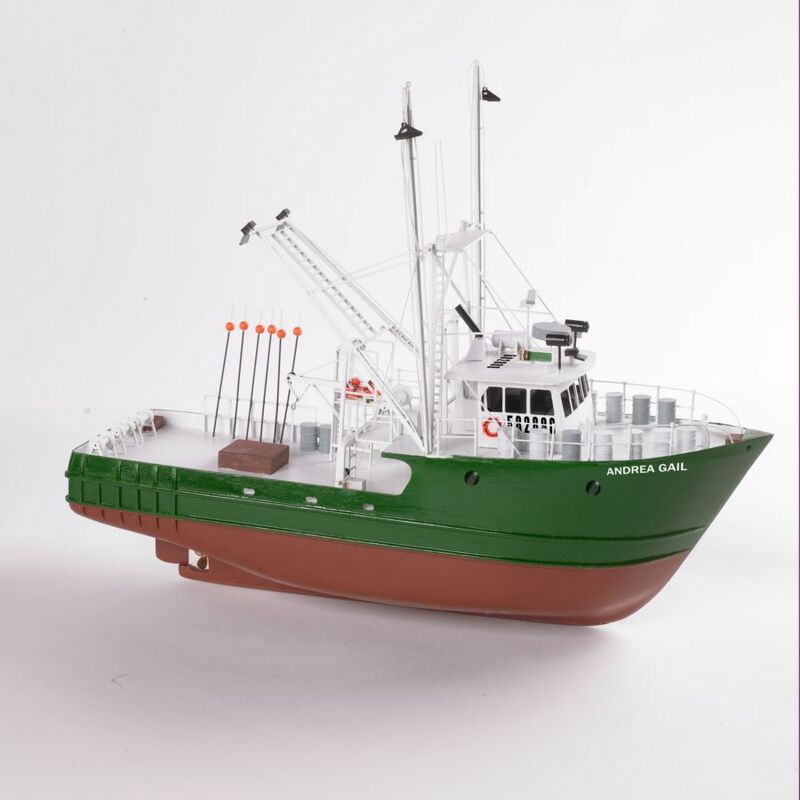 Billings Boats BIL608 Andrea Gail “The Perfect Storm” 1/60 scale wood ship kit! The Andrea Gail, an un-inspected commercial fishing vessel departed Gloucester Harbour, Massachusetts, September 20, 1991 with six crewmembers on board. The crew intended to make a fishing trip for swordfish in the area of the Grand Banks of Newfoundland, Canada. The vessel and six crewmembers remain missing and are presumed lost at sea in a major storm, referred to as the “Perfect Storm” by a meteorologist and made famous by Sebastian Junger’s book (the book was later turned into a Hollywood movie).